1) (Parr, co. Lancaster). Ar. two bars az. a bordure engr. sa. Crest—A female’s head full-faced, cnuped below the shoulders ppr. habited az. on her bead a wreath of roses, alternately ar. and gu. 2) (Kendal, co. Westmorland; borne by William Parr, Marquess of Northampton; extinct 1571, derived from the marriage of Sir William Parr, of Parre, co. Lancaster, Knt., with Elizabeth de Roos, granddau. and heiress of Sir Thomas de Roos, Baron of Kendal. The younger branches were the Parrs, Barons Parr, of Horton, co. Northampton, the Parrs of cos. Derby and Leicester, the Parrs of Kempnall, the Parrs of Backford, the PArrs of Eccleston, the Parrs of Lythwood, &c.). Ar. two bars az. within a bordure engr. sa. Coat of Augmentation granted by King Henry VIII. to the family of his Queen, Katherine Parr: Or, on a pile gu. betw. six roses of Lancaster three roses of York. Crest—As Parr of Parr, except that some authorities vest the crest erm. instead of az. and others place a crown on the female’s head, instead of a wreath: some give both, the crown above the wreath. Supporters—Dexter, a stag or; sinister, a wivern az. Motto—Amour avecque loiaulté. Badges and Crests of the time of Henry VIII. : Pare (Parr) a maiden’s head full faced ppr. vested gu. crined or. (This, issuant out of a red and white rose, was the badge of Queen Katherine Parr. Collectanea Genealogica et Topographica, vol. iii. p. 74). Sir William Segar, in his MSS. in Coll. of Arms, states the Crest, a maiden’s head, to be the Crest of Roos; yet it appears certain that the Parrs bore arms before their alliance with the heiress of Roos, as Robert de Parr and Henry de Parr were among the gentlemen of coat armour who gave evidence on the Scrope and Grosvenor trial in 1386; Elizabeth de Roos was not married till 1390. 3) (coat of augmentation, granted by Henry VIII. to his Queen Katherine, dau. of Sir Thomas Parr, of Kendal). Or, on a pile gu. betw. six roses of the last three roses ar. 4) (Kempnall, co. Lancaster; represented by Starkie, of Huntroyd. Her. Visit. 1567). Ar. two bars az. within a bordure engr. sa. Crest—A horse’s head gu. maned or. 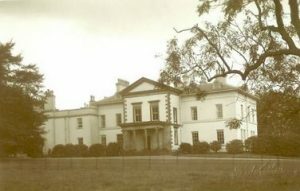 5) (Backford, co. Chester; seated at Backford for four generations, till Robert Parr sold the estate to Thomas Alderset, about 1580: he d. s. p. 1582). Ar. two bars az. within a bordure engr. sa. bezantée. Crest—A demi boar ramp. az. bristled or, charged with a bend gu. thereon three lozenges or. 6) (Stonelands, co. Devon). Ar. two bars az. witnin a bordure engr. sa., quartering Codrington, viz., Ar. a fesse embattled counter-embaitled betw. three lions pass. sa. Crest—Out of a ducal coronet or, a dragon’s head gu. betw. two wings chequy or and az. being the Crest of Codrington. 7) (granted in 1590, to John Parr, of London, Embroiderer to Queen Elizabeth, son of Thurstan Parr, of Parwich, near Warrington, co. Lancaster). Ar. two bars az. a bordure engr. sa. charged with eight escallops of the field, borne with several quarterings. Crest—A female’s head ppr. vested az. charged on the breast with three escallops barwise ar. 8) (granted to the Rev. John Lynes, LL.B., of Tooley Park, in behalf of his wife, Caroline Sobieski, and to her sister, Augusta Eliza Wynne, the wife of Captain Sir John Marshall, R.N., C.B., and K.C.H., as the two representatives of the Rev. Dr. Samuel Parr, Prebendary of St. Paul’s). Erm. two bars az. each charged with as many crosses pattée or, a bordure engr. sa. thereon four escallops and as many roses alternately ar. Crest—A mount vert therefrom issuing in front of a pear tree fructed ppr. a rose tree vert bearing five roses gu. barbed and seeded also ppr. 10) (Rev. 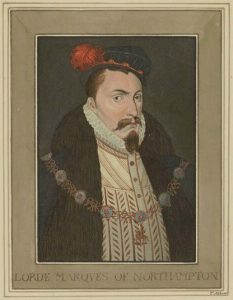 Henry Parr, Vicar of Yoxford, co. Suffolk, only surviving son of the late Thomas Parr, Esq., of Lythwood (see preceding article). Same Arms, &c.
11) (Grappenhall Ileyes, co. Chester; derived from John Parr, Esq., the descendant of an ancient Lancaster family, which was possessed of estates in the parish of Ormskirk). Ar. two bars az. a bordure engr. sa. charged with eight escallops of the field. Crest—A female’s head couped below the shoulders ppr. habited az. tbe vest charged with three escallops ar. the centre one suspended by a chain round the neck. Motto—Faire sans dire. This Anglo-Saxon last name has four origin theories or meanings. 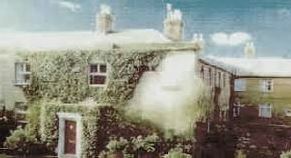 First, it is a locational name meaning “of Parr”, which was a township in the parish of Prescot, or the manor of Parr, county Lancashire. Second, it is a baptismal/patronymic meaning the “son of Peter”, the old biblical name, from the French variant Pierre, which was varied to the personal (first) masculine given name Parr in England. Third, it may be a locational name, deriving from the Old English word pearr, meaning dweller at the enclosure, denoting a person who lived in or near such a place. Fourth, it may be a locational name deriving from the Middle Low German word pare, meaning parish, district, foundling, or minister’s house, or perhaps a metonymic occupational name for a parson ( a cleric, priest, vicar, reverend, or preacher) or someone who was employed in a personage or manser (similar to the German surname Pfarr). Some spelling variants or names with similar etymologies include Parre, Par, Perye, Parye, Perre, and others. The last name Parr ranks 2,057th in popularity in the United Status as of the 2000 Census. The name ranks particularly high in the following four states: Nebraska, Oregon, Wisconsin, and Indiana. The surname Fowler frequency/commonness ranks as follows in the British Isles: England (636th), Scotland (1,612nd), Wales (653rd), Ireland (3,961st) and Northern Ireland (1.229th). In England, it ranks highest in counties Cambridgeshire, Lancashire, and Devon. In Scotland, the surname ranks highest in Wigtownshire and Caithness. In Wales, it ranks highest in Radnorshire. In Ireland, it ranks highest in counties Carlow and Cavan. In Northern Ireland, it ranks highest in county Armagh. The name is also present throughout the remainder English speaking world: Canada (2,163rd), New Zealand (925th), Australia (1,480th), and South Africa (5,218th). The 1890 book Homes of Family Names by H.B. Guppy, states the following in regard to this surname: “Parr was a common name in Leverton between 1600 and 1650”. The earliest known bearer of this surname was Robert Perre who was documented in the Hundred Rolls of Yorkshire in 1275 AD. Margeria Perre was documented in the Subsidy Rolls of Suffolk in 1327 AD. A one Henry de Par was listed in the Assize Court Rolls of Lancashire in 1284 AD. Richard del Par was listed in the Letter of Books of London in 1356 AD. Alan de Par was documented in county Lancashire in 1372 AD. Richard Parr was documented in the same county in 1637. Alexander Parr was listed in the parish of Preston, county Lancashire, England in 1618. An early marriage involving this surname was Richard Parr, of county Surrey, who married Elizabeth Moyse in London in 1649. This is a branch of the Parr family tree that claims descent or ancestry from the ancient Lancashire family of Parr. In the early 1500s AD, this family possessed freehold property at Rainford in the area of St. Helen’s. Edward Parr likely was engaged in a lawsuit respecting the title to a messuage called “Heystein Hall in Rayneforde” during the 31st year of the reign of King Henry VIII of England. From him descended John Parr, gentleman of Rainforde, who married a daughter of Roger Hesketh of North Meols, and had issue with her, including John, Edward (had a son named John Parr who moved to Liverpool and became a promiment merchant there, marrying Jane Horton of Chafferton, having a son also named John, who married Anne Wolstenholme), and Roger. His youngest son, Roger, married Hannah, daughter and heir of Joseph Jackson, Esquire of Liverpool, and had a son with her named Joseph. This Joseph Parr was of Fir Grove in West Derby, and in 1780, married Ellen, daughter of Matthew Lyon of Warrington. He had four daughters and two sons: Ellen, Harriet (married James Henry Clough of Plas Clough in Wales), Harriet Ellen (married John Ellis), Isabella (married William Ripley), Joseph (of Fir Grove), and Thomas. The second son, Thomas Parr, Esq. of Grappenhall, a Justice of the Peace and Deputy Lieutenant who was born in 1792. In 1825, he first married Clare, third daughter of Reverend Croxton Johnson, Rector of Wilmslow, with whom he had a daughter named Clara Ellen (married Charles Jeffreys of Glandiffi Castle in Montgomery, Wales). He secondly married Alicia, daughter of Philip Charlton of Wytheford Hall, and had eight issue with her as follows: Thomas Philip (of Ashton Hayes), Frederick (an officer of army, died in the Crimean War), Joseph Charlton (of Grappenhall Hayes, Warrington, county Chester, England, Justice of the Peace, married Jessie Maria Kaye, had son named Roger Charlton), Chiverton Bertie, Raymond William, Henry Bingham, Cecil Francis, and Alicia Jane (married Edward Townshend of Wincham Hall). He died in 1870. 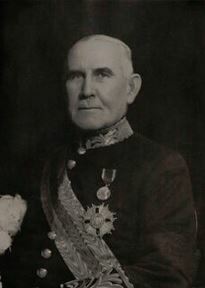 His son Thomas Philip Parr, Esquire of Killiechronan, county Argyll, was a Captain of the Royal Scots Greys, born in 1834, who in 1866, married Agnes, daughter of Major George Darby Griffith. The Parr Coat of Arms (sometimes erroneously called the Parr Family Crest) is blazoned in heraldry as follows: Argent, two bars azure a bordure engrailed sable. Crest: A female’s head couped below the shoulders vested azure, on her head an antique crown or. Motto: Faire sans dire. Sir John Parr was born in Prescot Par, Lancashire, England (modern day Great Britain, United Kingdom) in 1320 AD. He married Matilda Leybourne and had a son with her named William. Sir William Parr was born in Salisbury, Wiltshire in 1350 AD. He married Elizabeth Ros and had a son with her named John. This son, Sir John Parr, was born in Kendal, Westmoreland, Englad in 1383 AD. He married Agnes Crophull and had a son with her named Thomas. This Sir Thomas Parr was born in Salisbury, Wiltshire in 1406 AD. He married twice: Alice Tunstall and Maud Greene, and had the following issue: Elizabeth, William, Thomas, Margaret, Mabel (Dacre), Anne, and Agnes (Strickland). His son Sir William Parr was born in Lancaster, Lancashire in 1434 AD. He married twice: Jane Trustbut and Elizabeth Fitzhugh, and had five children: Margaret, Thomas, William, John, and Anne. His son Sir Thomas Parr (or Perye or Parye) was born in Kendal Castle in Westmoreland, England in 1483 AD. 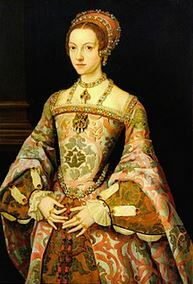 He married Maud Greene had had three children: Catherine (Queen of England, wife of Henry VIII), William, and Anne. His son, Sir William, 1st Marquess of Northampton, was born in Blackfriars, London in 1513. He married three times: Anne Bouchier, Elizabeth Brooke Wyatt, and Elin Snakeborg Gorges. He had a son named Robert. This Robert Parr was born in Eccles, Lancashire in 1549. Robert Parr was born in 1640 AD. He married Miss Allaman and had a son with her named Philip. He died in colonial Virginia in 1700. 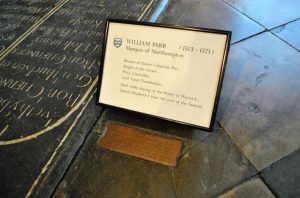 His son Philip Parr was born in Essex, Virginia, America in 1662. He married Judith Allaman and had a daughter with her named Mary. Mary was born before 1695 in the same county and she married Charles Breedlove Sr., having numerous issue with her: William, Nathaniel, Allaman, Phillip, Kindness (Shorter), James, Hester (Tribble), Mary (Trible), Robert, and Thomas. James Parr was born in Lancaster England in 1680. He married Elizabeth Docking and had four children with her: Richard William, Samuel, William, and Mary. He went to colonial America, dying in Somerset, Pennsylvania in 1740. His son Richard W. was born in England in 1772. He went to Pennsylvania with his father and married a woman named Judith, having the following issue: Judith (Crooks), Thomas, William, and John. His son Samuel B. Parr was born in Union Township, PA in 1758. He married Sarah Leonard and had the following issue with her prior to his 1844 death in Ohio: Richard Samuel, John, Margaret (Elliot), Catherine, Hannah, Sarah, Elizabeth, Samuel, Leonard, and William Smith. His son William Smith Parr was born in Fayette, Pennsylvania in 1800 and he married a woman named Elizabeth, having had the following issue with her prior to his 1874 death in Iowa: Susan (Doolittle), Nancy (Trigg), William Alvah, Alvah, John, and Martha Jane (Houck). Joseph Parr, age 19, came to St. Christopher’s aboard the William & John in September 1635. Petronilia, daughter of Georg and Elisabeth Parr, was baptized in June 1678 in the parish of St. Michael’s, Barbados. The book Genealogical Guide to the Early Settlers, mentions three bearers of this last name: 1) Abel Parr of Boston, a freeman in June of 1641, 2) James Parr, a soldier sent to seize Groton and his company, was of unknown residence, 3) Samuel Parr of Salem, MA 1665. Other settlers in colonial America bearing this surname include Robert Parr (Virginia 16347), Edward Parr (Virginia 1649), Thomas Parr (Virginia 1651), Alexander Parr (Virginia 1701), Anthony Parry (Virginia 1705), Alerr Parr (Virginia 1705), Jacob Parr (Pennsylvania 1743), and Johannes Parr (Pennsylvania 1743). In Canada, some of the earliest bearers were William and Harriet Parr, United Empire Loyalists (Americans who went to Canada and remained loyal to the British Crown during the American Revolution), who settled in New Brunswick around 1784. In Australia, one of the earliest settlers bearing this name was Chapman Barr, who came aboard the Hooghly in 1839, settling in Adelaide. In New Zealand, a family of this name (Thomas, Jane, Thomas, and Edward Parr) came to the city of Auckland aboard the Westminster in 1843. Charles Bolton’s American Armory (1927), Crozier’s General Armory (1904), and Matthew’s American Armoury and Bluebook (1907) do not contain any entries for this last name. 2) J. Charlton Parr of Grappenhall, Heyes, county Chester and Staunton Park, county Hereford, England, 1896. There are hundreds of notable people with the Parr surname. This page will mention a handful. 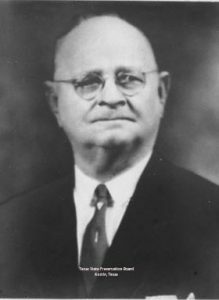 Famous people with this last name include: 1) Archer “Archie” Parr (1860-1942) who was a Texas rancher and politician born in Matagorda Island who was a Democratic Party political boss nicknamed “the Duke of Duval County” who served for nearly 20 years in the Texas State Senate, 2) Catherine (or Katherine) Parr, the Queen of England and Ireland from 1543-1547, the last wife of King Henry VIII, born in Blackfriars, London, 3) Charlie Parr (1967) who is an American country blues musician born in Duluth, Minnesota, 4) Jerry S. Parr (1930-2015) who was a Secret Service agent that protected President Ronald Regan on the day of his assignation attempt in 1981, born in Montgomery, Alabama, 5) Private John Henry Parr (1897-1914) who was the first British soldier killed by the enemy in World War I, born in Church End, England, 6) John Parr (1725-1791) who was a British military officer born in Dublin, Ireland who served as the governor of Nova Scotia, 7) Samuel Wilson Parr (1857-1931) who was an American Chemist born in Granville, Illinois who was the president of the American Chemical Society in 1928, and was associated with Illinois Industrial University, Knox College, and Cornell University, 8) Martin Willoughby Parr (1892-1985) who was the British governor of the province of Equatoria in Anglo-Egyptian Sudan, 9) John Wayne Parr (1976) who is an Australian kick boxer and boxer known as “The Gunslinger” who was a 10-time World Champion, and 10) Lawrence “Larry” Parr (1946-2011) who was an chess player and author born in Bothwell, Washington. The main heraldic symbols depicted within the Parr Coat of Arms (erroneously called the Parr Family Crest) are the bar, bordure engrailed, and rose, each which have their own unique meaning. The bar is a thin, horizontal stripe across the centre of the shield, usually in groups of two or three (any more and there would be confusion with barry, a treatment of horizontal lines of alternating colours). Bars can be a distinctive and easily recognised device, early examples include those awarded by Henry III of England to the family MAUDYT Argent, two bars gules. The border, (sometimes bordure) is a band running around the edge of the shield, following the edge contours and being differently coloured, possibly holding a series of small charges placed on top of it. To distinguish it from similar arms, heraldic artists developed a series of decorative edges (obviously these are applied only to the inner edge). A common form of this patterning, engrailed is a series of scalloped indentations with the points facing outwards – and should not be confused with invected, which has the points facing inwards! Wade believes that both of these indented forms represent “earth or land”, and one perhaps can indeed see the furrowed earth embodied in them. Sir Kevin James Parr Bt ( Baronet) BORN 1950 son of James Parr and Grace B Whiteside . SHOULD be added to this as without it misleading as no Parr related to Sir William Parr Baron Kendal left England and the main branch of Parr still exists. Sir Kevin has no offspring as known. Thank you Anita for comment made here. This whole story is holed by non fact. The painting of Queen Elizabeth we are told is Queen Kate Parr. The painting of Ist Marquise is wrong too. So many faults here not bothered reading beyond the first paragraph. My ancestors sprang from Sir john Parr, Knight of Lancashire 1203. Queen kate Parr is on a branch line off the main family tree.her line died out. My title came not from Parr but from Nevile family mothers extended family and the death of her cousin childless at 79 died left Baronet to me. I was just an Hons before.